The Heart & Stroke Foundation has, for more than 60 years, been dedicated to fighting heart disease and stroke. Their work has saved thousands of lives and improved the lives of millions of others. With the growth of Heart & Stroke’s monthly file being a strategic priority for the organization, they asked Fundraising Direct to review the current approach to the conversion of cash supporters to monthly giving and to design a more effective strategy. Cost-effective acquisition is a step-by-step modelling process. From past propensity modelling, we knew that historical telephone conversion calling results provide clear drivers of response, which can be used to identify those supporters most likely to come on board with a monthly gift. This is no surprise and has always been at the centre of our approach, irrespective of channel or activity. 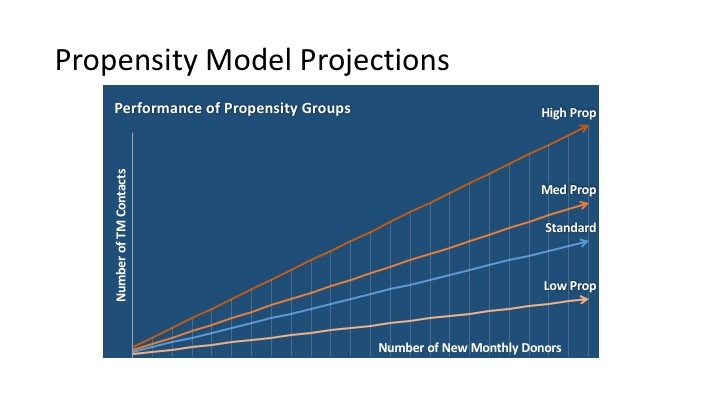 By using propensity modelling and behavioural patterns, Fundraising Direct was able to determine the number of monthly givers that can be delivered from a specific audience, at a cost to acquire substantially lower than that which has historically been delivered when contacting the entire audience without taking into consideration their past behaviour. In addition to reducing the cost to acquire, this approach makes sure that we are speaking to donors about a way of giving that they are likely to be interested or open to. Also, it will be through a channel that they are comfortable using to communicate and donate to the organization. Telephone conversion results help build a clear picture of supporters most likely to become monthly givers. One of the key inputs for a successful model are the results from historic campaigns and the ability to create a “snap shot” of what the donors looked like before each campaign (in terms of their past behavior and profile). This meant that we can look at the factors that would have identified them as likely to give a monthly gift back before they were contacted on the previous campaign. This is then used to “describe” them in terms that an analytical model could utilize to provide a propensity grouping for each supporter. The next step was to develop “clusters” of data that would group the Heart & Stroke cash donors into similar groups, with each of these groups corresponding to a particular set of drivers that had been seen to indicate an increased likelihood response to monthly giving asks on past campaigns. These drivers can be used in combination to find less obvious patterns of behaviour in large sets of data, such as the cash giving file of the Heart & Stroke foundation. 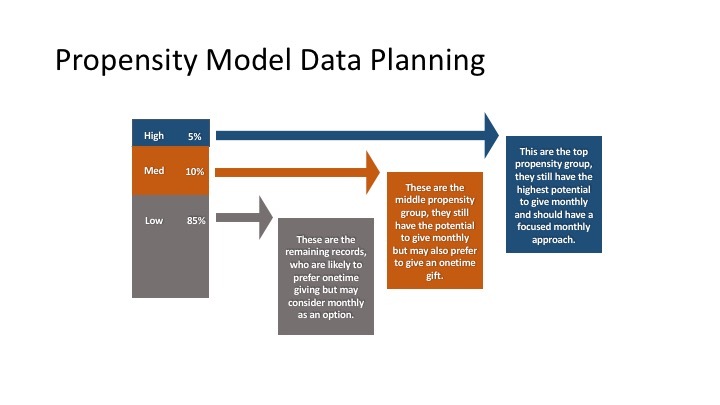 Once the drivers and clusters were finalized, a predictive model was created using various methods, including logistical regression and decision trees, developed for each group of donors in each dataset. The final stage of this program was to validate the various models by comparing their performance against historical calling data. This enabled us to select the best performing groups of data and design programs to convert the highest possible number of new Heart & Stroke monthly donors at the lowest possible cost to acquire. Fundraising Direct designed programs to convert the highest possible number of new Heart & Stroke monthly donors at the lowest possible cost.